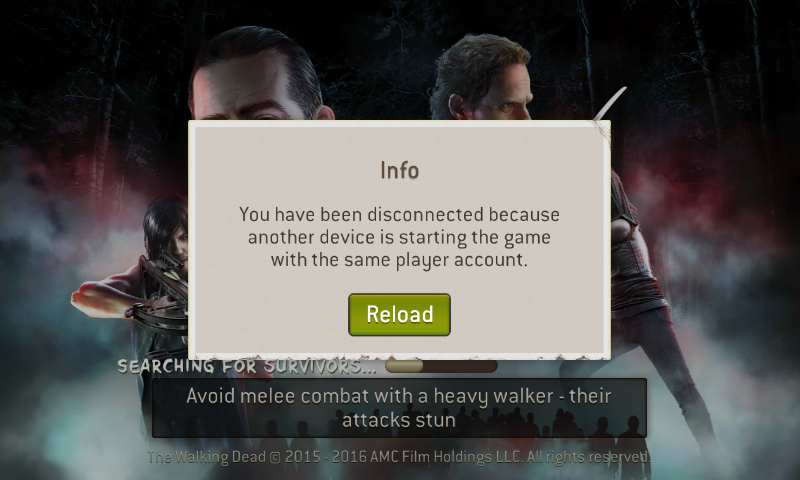 Another device is starting the game for me? You could try send a ticket to support if you can get to the help screen. While in the loading screen (and I suppose before getting that dialogue box) you can long press the screen with three fingers. That should bring up the help menu where you can send a message to support. Include your player name, level and guild (if any). If sending a message from the game is not possible, you can send a message from the "contact us" button on THIS PAGE. I hope support can sort you out.